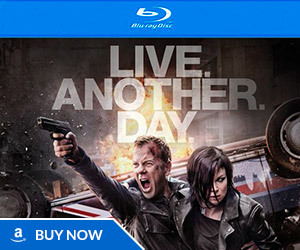 Good Day LA interviewed Kiefer Sutherland a few days ago and just released the footage today. He revealed that he’s both excited and nervous about stepping back in to the role. 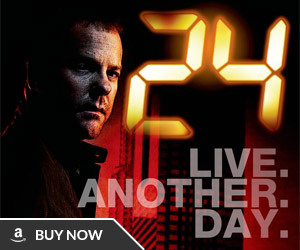 And although Live Another Day has his full focus, don’t rule out the 24 movie just yet. 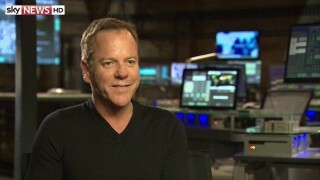 Kiefer Sutherland chats with Access about bringing the adventures of Jack Bauer back to TV in the revived “24.” Now that the show will only be 12 episodes, how will they still do the show in real time? Plus, where does the show pickup? Did they just cut the rest of the interview off? Kiefer is obviously doing a lot of press for the show, which is good. Hopefully he’ll be focused and give a kickass performance. Yes, it did sound like the interview was edited down. 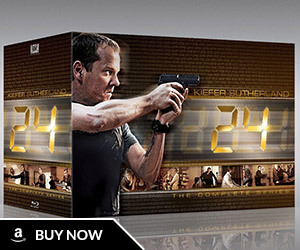 24 has always had this movie like quality I have no doubt That this show will make one heck of a comeback. May be a show reboot ? I hope so !!!! and a movie too !! both !!! Disney-Fox Deal: How Does it Affect 24? Thoughts on 24: Legacy Finale? Never miss a post with the daily news roundup. Our comment policy is very simple - be civil and respectful. This means no personal attacks, racism, sexism, homophobia, excessive language, and obviously no spamming, excessive self-promotion, or overly repetitive comments. Everyone is welcome and encouraged to voice their opinion as long as it adds constructively to the conversation. Please be respectful of other people's viewpoints even if you personally disagree. We do not tolerate intentional attempts to hijack, derail, or bait others into an emotional response. Failure to comply with these rules will result in a warning and repeat offenders may be permanently banned. © 2019 Copyright 24 Spoilers.